William Herwick Sr. (1770 – 1833) was at work in Greensburg PA (Westmoreland County) C. 1801 – 1833. He was a documented clockmaker and listed on the tax rolls. 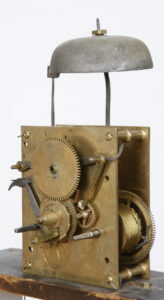 His son William Jr. was also a clockmaker in Uniontown. 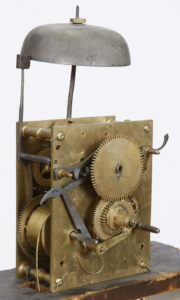 This is a Federal period Cherry Tall Case clock with an American Painted iron dial from the Patton & Jones foundry in Philadelphia. 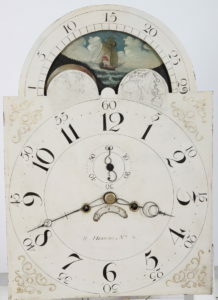 An original clock with minor repairs, restoration, and conservation that you find in an Antique that is 200 years old. The case has been professionally refinished. 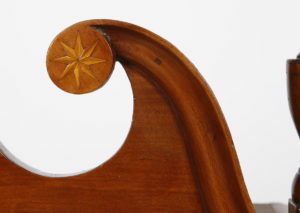 When we acquired the clock the feet had lost some of their original height and we have matched the profile and ended them out to their original height. All of the original blocking and feet were left untouched. The door lock has been replaced and a previous poor repair to the area where the original lock had broken out has been repaired. 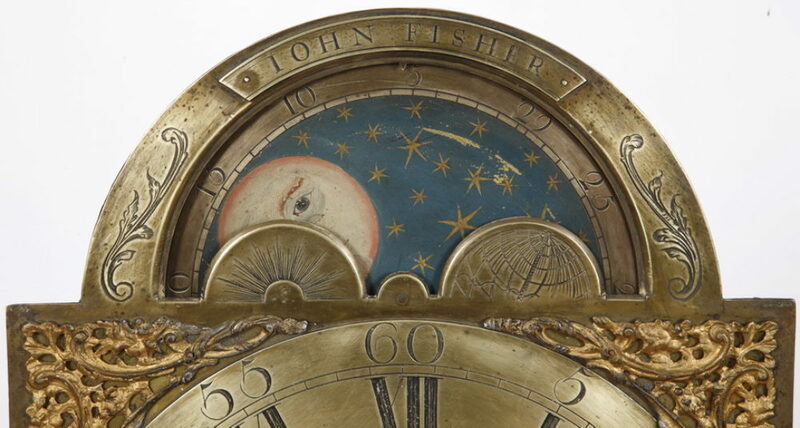 The signature on the dial is untouched and original as is the moon disc and the calendar aperture. 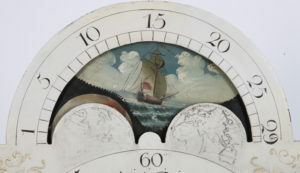 The dial has not been repainted. 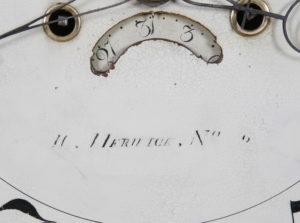 When we acquired the clock the “numerals” had been touched up and we have painstakingly removed the added black touch up and the numerals are now as they were originally and as they should be. 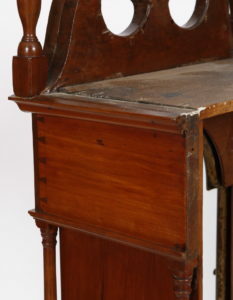 The hands on the clock are appropriate period restorations that have been carefully fit to the works. Center finial slight loss of height, crack in plinth Minor repairs to the area around the door lock where the original one had pulled out. The case has been professionally refinished and has a great look to it. The clock has been professionally serviced and it runs and strikes fine. Overall dimensions: 93 X 19 1/2 X 10 1/2 inches for the case, Dial is 13 X 18 inches with and 11 inch time track and 1 1/2 inch numerals.